This practical seminar exposes how archivists have catalogued key groups of records in the Germaine Greer Archive – the audio and correspondence series – and offers tips for researchers wanting to work with this unique material. Kate Hodgetts has listened to 150 hours of Greer audio and created time-coded summaries for each record while Lachlan Glanville read 120 boxes of letters to and from Germaine Greer. Learn how to “hear Greer” by navigating the audio finding aids. Discover how subject headings can help you navigate an A-Z of Greer in the correspondence series finding aids. Greer Archive curator, Dr Rachel Buchanan, will facilitate the conversation. Image: Greer Archive audio records on display in the Leigh Scott Room, 8 March 2017. Lachlan Glanville is Assistant Archivist on the Germaine Greer Archive at University of Melbourne Archives. He has worked at the National Library of Australia in the pictures and manuscripts branch and as assistant archivist at RMIT University, and holds a Masters of Information Technology in Library and Information Science. Kate Hodgetts is an artist and archivist. Working with Germaine Greer’s archive she has spent many hours listening to and creating time coded summaries for the audio series. Recently Kate has moved on to the photographic series, housing and cataloguing the hundreds of images in that collection. Kate has a Masters of Cultural Material Conservation (UoM 2013) and a Bachelor of Fine Arts, Honours (VCA 2007). Rachel Buchanan is curator of the Germaine Greer Archive at University of Melbourne Archives. She is the author of Stop Press: the last days of newspapers (Scribe, 2013) and The Parihaka Album: Lest We Forget (Huia, 2010). 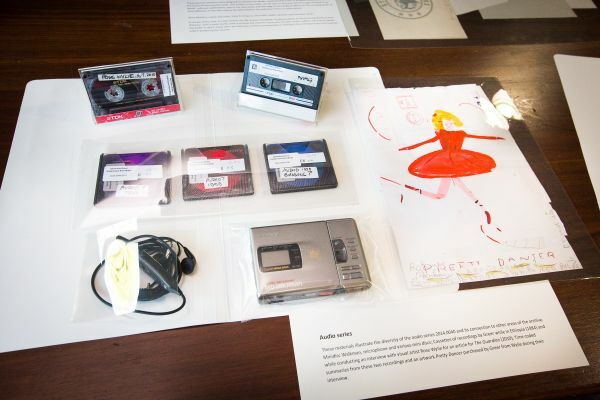 In 2013-14, Rachel was a creative fellow at the State Library of Victoria.